PSC Biotech partners with Beeline VMS for best in class vendor management solution. Problems in pharmaceutical manufacturing have been attracting increasing attention and concern from both the market and regulators. A recent GAO (Government Accountability Office) report found that nearly 40% of drug shortages in the U.S. are caused by quality concerns related to the production process. There are numerous regulatory requirements in place that are enforced by the Federal Drug Administration (FDA). These are broadly known as the Current Good Manufacturing Practices (cGMP). The cGMP regulations provide the minimum standards that manufacturers must comply with to ensure product safety. cGMP provides standards for the manufacturing process, safety, documentation and packaging of pharmaceuticals. The FDA is charged with overseeing the quality of all drugs that are sold in the U.S. whether they are manufactured here or in another country. With the increase in manufacturing facilities outside the U.S., increased strain has been placed on inspectors who must not only travel around the world to inspect plants, but must also deal with a myriad of local issues and customs. The shortage of critical drugs is attracting increased nationwide attention as news stories multiply about patients unable to receive the latest treatment due to a lack of a particular drug. Surgeries have to be postponed when there is not enough supply of a critical drug on hand, leading to increased patient risk and cost. In mid-2014, a shortage of saline, a very common drug, caused delays in many critical procedures in hospitals around the country. Saline is a simple drug by itself, but it requires stringent manufacturing procedures to ensure that it is sterile. FDA inspectors found such nasty things as bacteria, mold, and glass particles when inspecting units of saline. While drug manufacturers are often hesitant to criticize the FDA, there are some that feel that the inspection process has gotten so cumbersome that it is getting in the way of efficient and safe manufacturing. For its part, the FDA has recognized that not all violations affect the safety of the product and the public and is applying more leeway in deciding when to shut down a facility. Where the infraction is in such areas as a minor mislabeling or in having all the necessary paperwork on file, the FDA employs regulatory discretion in deciding which infractions present a risk to patients versus a minor regulatory infraction. Not surprisingly, some blame the reimbursement policies of Medicare and insurance companies for creating shortages by making the manufacturing of some drugs not economically viable for the pharmaceutical companies. The drug companies are motivated to maximize profit for their shareholders, not to provide a public service. The public perception of pharmaceutical companies has fallen in recent years. One survey reported that only 34 percent of the public felt that large pharma companies did an “excellent or good” job. There is a growing feeling that drugs are overpriced and that there is too great an emphasis on profits. The greater this public perception becomes, the greater the likelihood of increased governmental pressure and regulation. 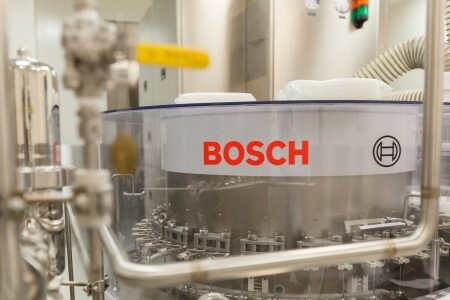 There is widespread agreement that improving and streamlining quality control systems in pharmaceutical manufacturing is in everyone’s best interest. Suggestions range from changing corporate culture towards greater acceptance of the FDA quality metrics. At the same time, the FDA is being encouraged to work towards a more standardized set of review procedures that avoids production halt for procedural violations as compared to substantive ones. While none of these steps are likely to fully resolve the problem of drug shortages, it is encouraging that there appears to be increasing recognition that it is a problem which requires a solution. Compliance management is an ongoing challenge for life sciences companies. New technologies are making verification systems easier to implement, but the same advances in technology also make businesses that are not in compliance with FDA rules and regulations easier to identify. An essential component of compliance management for a life science company is to implement a Continued Process Verification (CPV) program to ensure that issues are identified early in the process. Process validation is a several stage process that includes the collection and evaluation of data. Information from the design stage through end product production to the supply chain must be gathered and maintained. This information is then evaluated to support the basis that establishes scientific evidence that a process is capable of consistently delivering quality products. The FDA defines process validation as follows: For purposes of this guidance, process validation is defined as the collection and evaluation of data, from the process design stage through commercial production, which establishes scientific evidence that a process is capable of consistently delivering quality product. Process validation involves a series of activities taking place over the lifecycle of the product and process. This guidance describes process validation activities in three stages: • Stage 1 – Process Design: The commercial manufacturing process is defined during this stage based on knowledge gained through the development and scale-up activities. • Stage 2 – Process Qualification: During this phase, the process design is evaluated to determine if the process is capable of reproducible commercial manufacturing. • Stage 3 – Continued Process Verification: Ongoing assurance is gained through routine production that the process remains in a state of control. The FDA recommends an integrated team approach as the best practice for CPV. The CPV team should include members from process engineering, industrial pharmacy, analytical chemistry, microbiology, statistics, manufacturing, and quality assurance. Senior management needs to not only offer full support to the work of the CPV team, but must be actively involved in the process. Process validation must continue throughout the product lifecycle and be under constant review for changes in process. As new technology evolves, new studies should be implemented to evaluate any changes in the process. Federal 21 CFR 211.180(e) regulations require assessing and determining the need for change in manufacturing or control procedures on an ongoing basis. Continued process verification makes sense from a business as well as a regulatory compliance standpoint. New technology in production, design and delivery often provides a more cost efficient methodology that reduces cost along the entire product chain. The FDA is supportive of new initiatives that provide for better service delivery, but also demands that the process be thoroughly validated to ensure the public good. An ongoing CPV makes changes easier to implement and ensures maintaining compliance with the FDA. How to Respond to an RFP The first thing to know about responding to a Request for Proposal (RFP) is that you need to read it. Carefully. Surprisingly, many smart folks forget that crucial initial step and end up with pages of content that fails to meet the essential criteria of the RFP. Here are a couple of simple and logical suggestions that you can use to make your response stand out from the crowd: 1. Keywords: The best way to figure out what is being asked for is to isolate the key ideas in the request. You can do this, be figuring out what the keywords in the RFP are and then work to closely match them in your proposal. Check out Wordle to create a free word cloud of a document that gives you a graphic representation of the keywords in the text. Incorporate the keywords of the RPF in your response. 2. Do Your Homework: The more you know about the entity that put out the RFP, the better able you are to respond. See if you can find past proposals that were accepted and make sure your response mirrors the winning style. If you can get the name of the lead reviewer, do some homework about that person’s background which may help you shape your story. 3. Don’t Be Boring: A boring proposal is annoying to read. Putting someone to sleep while reading your proposal is not likely to help you win. Pay attention to the writing style. Maybe your technical skills and low price will win the day, but don’t count on it. A compelling story is hard to turn down. A grant proposal usually consists of three key parts: financial, technical, and narrative. The financial and technical specifications are straightforward and are frequently reviewed by software while a human reviewer will read the narrative, which often is given greater weight in awarding the grant. For your proposal to be selected it is essential that your narrative not only effectively communicate your story, but do so in a manner that is most likely to create a positive impact on the reviewer. A compelling story must be concise, stylistically correct, and psychologically appealing for maximum effect. A careful reading of the RFP (Request for Proposal) will give the theme of the narrative. Be sure your story stays faithful to the RFP and beware of substituting a different agenda. To be successful, the narrative should focus on the needs of the proposal, not the needs of your organization. Often an organization will assign multiple staff to write different parts of the project. That is sensible for information gathering during the first draft, but is deadly for producing a cohesive and readable final document. The narrative, to be effective, must have a natural flow and smoothness and read as one cohesive document. There should be one person that is solely responsible for writing the final draft. Always write your narrative with the reader in mind, which means keeping the document interesting, concise, and readable. There is an unfortunate tendency in proposal writing to believe that length equals quality when, in reality, the opposite is true. A winning proposal requires paying close attention to the specifics of the RFP and writing a creative and compelling proposal. EDI is a term that goes back a long ways in the world of consulting and it is valuable to ensure that everyone works from the same understanding of what EDI is all about. EDI is shorthand for Electronic Data Interchange. EDI is defined as the structured electronic transmission of data using the Internet. Information can be transferred electronically from one computer system to another seamlessly and without direct human management. EDI has the dual advantage of speeding up the transfer of data and doing so with much less chance of error. New security standards, such as AS2 provide for a high level of security using digital certificates and advanced encryption, while permitting the HTTP transfer at a lower cost than using a Value Added Network (VAN). EDI has been widely adopted by various government agencies, including the IRS, which as long accepted electronic filings of tax returns. The use of EDI requires that all documents have a standard format in order to be processed electronically. There are EDI standards for various industries and regions. Electronic medical claim filing has benefited greatly from EDI. By one study, EDI has reduced the 11 steps required for a paper claim filing down to one document, produced within moments of the event. The electronic claim filing process, with its built in software checks for accuracy and completion has significantly reduced filing errors resulting much faster payment cycle. The vast majority of hospital and major medical centers in the U.S. have switched to electronic filings. EDI is about doing business with trading partners electronically in a timely and seamless environment. EDI provides many advantages to a company such as the development of closer relationships with trading partners, faster processing of orders and payments and lower overall costs due to personnel reductions or reassignments. The Adaptive Compliance Engine™ (ACE) software offered by PSC Software is a modular, scalable, and highly-configurable Enterprise Quality Management System (EQMS) that can adapt to any business process to enable the tracking, management, and reporting of all compliance, quality and operational activities and provides regulatory inspection readiness in real time. ACE combines a wide range of regulatory compliance tasks into a seamless platform that produces cost efficiencies and increased productivity. Companies in highly regulated industries are faced with a range of compliance risks and ACE helps manage those risks proactively. ACE is designed as a modular package that allows the customer to choose those applications which are applicable to their business. Let’s take a look at some of the modules available: • ACE Inspection™ allows managing the entire inspection process from any device, including smartphones. It provides tracking of inspection requests by assignees, priority and status of every request. • ACE Audit™ provides consistent execution for audit teams and maximizes auditor efficiency in an easy-to-use system that can schedule, plan, and execute audits, issue findings, and collect responses for corrective actions. • ACE Docs™ is a comprehensive, secure, and controlled electronic document management system that simplifies the process of creating, reviewing and approving documents. ACE Docs is 21 CFR Part 11 compliant with full electronic signature capability. • ACE Metrics™ generates print-ready, interactive reports and dashboards to share with as many users as you want. • ACE RegLib™ offers a searchable, easy-to-use regulatory library of all current regulations of the world's chief regulatory agencies. ACE is a highly configurable EQMS that can adapt to any company’s business processes to enable tracking, managing, and reporting on all compliance, quality, and operational activities. The federally mandated compliance date for providers, health plans, and health care clearinghouses to transition to ICD-10, the tenth revision of the International Classification of Diseases is nearing its deadline of October 1, 2015. The ICD-10 codes on a claim are used to classify diagnoses and procedures on claims submitted to Medicare and private insurance payers. By enabling more detailed patient history coding, ICD-10 can help to coordinate a patient's care better across providers and over time. ICD-10 improves quality measurement and reporting, facilitates the detection and prevention of fraud, waste, and abuse, and leads to greater accuracy of reimbursement for medical services. The conversion process is complicated and time-consuming and organizations that have delayed implementing the transition to ICD-10 may find themselves significantly harmed. The cost of converting to ICD-10 is considerable. Initial estimates by the AMA put the cost to a small practice at between $22,500 to $105,500. However, the rapid development of a consulting industry focused on ICD-10 conversion has managed to lower those costs to a more manageable level. Many organizations have chosen to implement their electronic healthcare record system (EHR) as the first step in better managing their systems and that has provided an efficient gateway to ICD-10 conversion. As of early 2015 there are continuing lobbying attempts to postpone the deadline again, but most observers think that any postponement is unlikely. If your organization is not yet ready for ICD-10, you need to fast track a plan to make sure your organization has the necessary awareness, tools, EHR training and a solid plan in place. No one knows how many organizations will be ready by the October 1, 2015 deadline, but since non-compliance has the risk of severely harming their cash flow, organizations that miss the deadline could be in trouble. If you’ve not yet implemented ICD-10 conversion plan here is a quick summary of what should be done: 1. Complete an ICD-10 Impact Assessment 2. Determine training needs 3. Create a comprehensive ICD-10 plan 4. Know where your vendors and partners are in their conversion The bottom line is that we are now only eight months out from the mandated implementation date and time is running short for those that have procrastinated. If you spend much time in the healthcare and life sciences industries, you are going to hear reference to 21 CFR Part 11. Let’s take a few minutes to define what it means. The first thing to understand is the title itself. CFR refers to the Code of Federal Regulations. 21 refers to Title 21 – Food and Drugs, and Part 11 refers to the section on Electronic Records and Electronic Signatures. Thus, 21 CFR Part 11 deals with federal requirements for maintaining electronic records and the procedures and regulations for using electronic signatures in documents when dealing with matters subject to FDA regulation and compliance. The key areas of the regulations are: • Maintaining of audit trails • Use and application of electronic signatures • Definition of an electronic record • Record retention methods and requirements • Inspection regulations for electronic records Federal regulations tend to follow rather than lead advances in technology and that has held true in the area of electronic documents. The pharmaceutical, biotech, and medical device industries have become dependent on computerized systems to manage their record keeping. The number of entities that are subject to the record keeping requirements of 21 CFR Part 11 has expanded substantially. 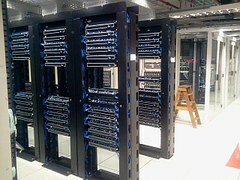 Clinical trials for new drugs are managed by computerized systems. The FDA requires that all applications for new drugs to be submitted electronically. Everything in the supply chain, from labels to pharmacy is managed electronically and must meet 21 CFR Part 11 rules for standardization and compliance. Medical devices are also subject to 21 CFR Part 11. The FDA has a wide-ranging definition of what a medical device is: A medical device is an instrument, apparatus, implement, machine, contrivance, implant, in vitro reagent, or other similar or related article, including any component, part, or accessory, which is: • Recognized in the official National Formulary, or the United States Pharmacopeia, or any supplement to them. • Intended for use in the diagnosis of disease or other conditions, or in the cure, mitigation, treatment, or prevention of disease, in man or other animals. • Intended to affect the structure or any function of the body of man or other animals, and which does not achieve its primary intended purposes through chemical action within or on the body of man or other animals and which is not dependent upon being metabolized for the achievement of its primary intended purposes. Some examples of medical devices are: Examples of medical devices include surgical lasers, wheelchairs, sutures, pacemakers, vascular grafts, intraocular lenses, and orthopedic pins. Medical devices also include diagnostic products. Examples of diagnoses include in vitro diagnostic reagents and test kits such as the pregnancy test kits, and imaging systems such as magnetic resonance imaging (MRI). The goal of 21 CFR Part 11 is to create standardization and record accountability in the healthcare and life sciences industries. While it has no doubt achieved this objective, it has also inserted a layer of regulatory requirements that are often complicated and confusing. The penalties for non-compliance can be severe and the need for in-house or external consultants to help organizations ensure their 21 CFR Part 11 compliance is something most companies recognize as a critical need. 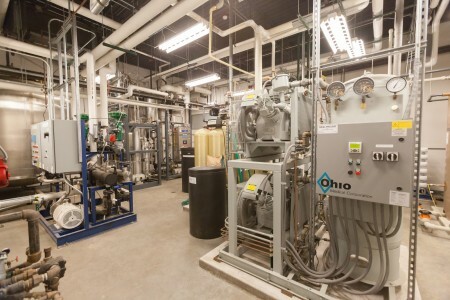 BioTechnique has acquired the former Mentor fill-finish facility and will initiate contract manufacturing services for sterile injectable products by early 2015. It anticipates eventually employing over 100 professionals. Gartner’s Worldwide IT Spending Forecast, released in late June, has spending on pace to total $3.7 trillion in 2014 and $3.8 trillion in 2015 — 2.1% and 3.8% increases, respectively. Enterprise software is leading all categories, with 6.9% and 7.3% spending increases forecast for 2014 and 2015. Add articles and blog posts here. Gartner's Worldwide IT Spending Forecast, released in late June, has spending on pace to total $3.7 trillion in 2014 and $3.8 trillion in 2015 -- 2.1% and 3.8% increases, respectively. Enterprise software is leading all categories, with 6.9% and 7.3% spending increases forecast for 2014 and 2015. Add articles and blog posts here.